The election of the opposition party, the MUD, to the national assemby is seen as a expression of frustration with the slow pace of socialist reform and the ability of the bourgeoisie to attack the Venezuelan working class, a warning to the PSUV to intensify the struggle. The majority of votes for the opposition are also not seen as legitimate support for the MUD as most candidates were hidden from the press and the public, obfuscating their policies and true nature as compradors. In response the PSUV are taking more decisive action, with Maduro announcing in December, “this is no time for cohabitation or coexistence with the bourgeoisie” (Lalkar). Putting these words into practice a state of emergency has been declared due to the shortages of food and medicine, mirroring the situation in 2002 (and the attempted coup against Chavez) when oil prices plummeted and the public took control of food distribution. Maduro has approved the funding of seven large-scale projects of communes and community councils, known as the “Communal Power,” in order to kick start food production and distribution. Further to this, at a rally to support these small-medium production projects managed by workers’ councils, Maduro announced “I’m ready to hand over to the Communal Power any factory stopped by any rich person in this country … Whoever doesn’t want to work should leave and those who do are welcome, we will go united. This country needs all of its economic structure to be functioning. It is a clear example of the limits of social democracy, and that any threat to the dictatorship of the bourgeoisie will ultimately be met with economic and physical violence against workers. This period of intense reaction by imperialist powers and the comprador bourgeoisie has brought the class struggle to a critical point in Venezuela, but thankfully the Venezuelan proletariat are well experienced in this struggle. 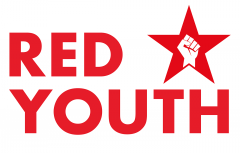 Next Next post: Red Youth: fight flunkeyism!